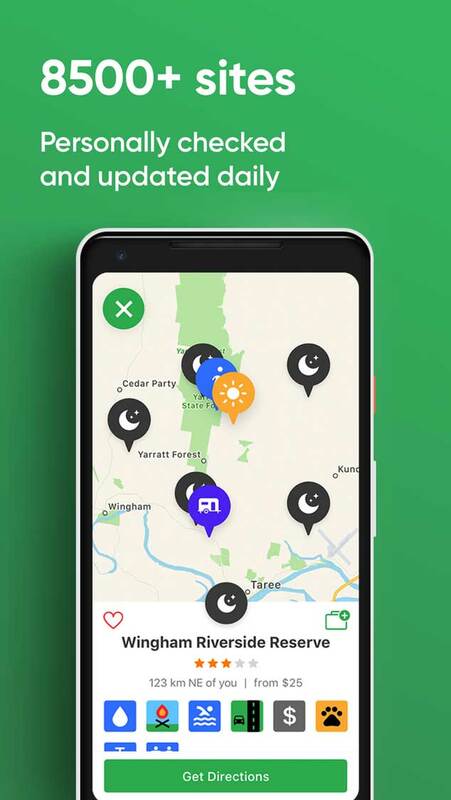 8500+ verified sites – includes maps, GPS co-ordinates, pet friendly stays, public dump points, mobile phone coverage + all the info a traveller needs. Add reviews, give a star rating, create favourites and share sites with friends. Download State data to make it available while offline. 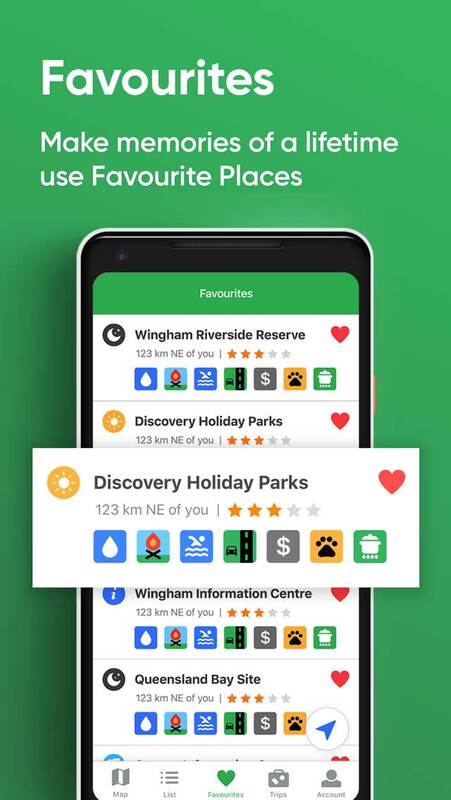 Licence entitles you to 2 downloads (from the same app store) allowing you to install on a phone and a tablet or share with your travelling partner. 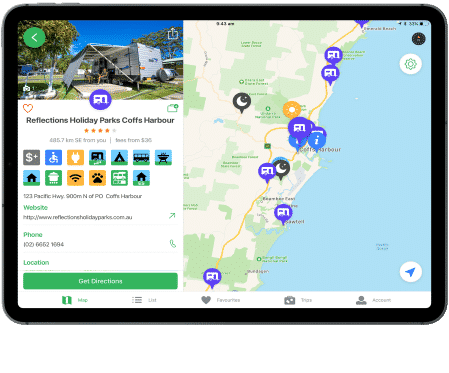 Listings include free and low cost camping, station stays, national parks, state forest parks, rest areas, showground camping, hotel and pub camping, as well as all the tourist caravan parks throughout Australia. 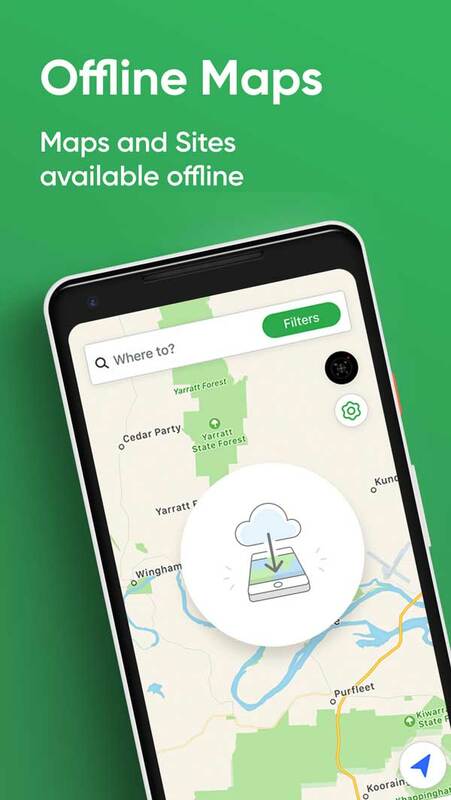 There’s offline maps and a free update service on the website. Sites personally checked and updated daily. Known as the “traveller’s bible” it will transform the way you travel. Our researchers check, visit or verify existing and new sites. We can tell you if a site is near a road, 4 wheel drive only, best travelled in dry weather, or simply has a pleasant view. See the newly designed user friendly interface to make navigating the App simpler and quicker. Our researchers are checking, visiting and verifying existing and new sites so you can relax! For your smartphone or Tablet available on the app store or Google Play. We use Google or Apple Maps and you can switch between standard and satellite. Best of all there’s offline maps when there’s no phone or WIFI available. Add your own sites & pics to the App, via your account. We will verify and visit the site and then add. 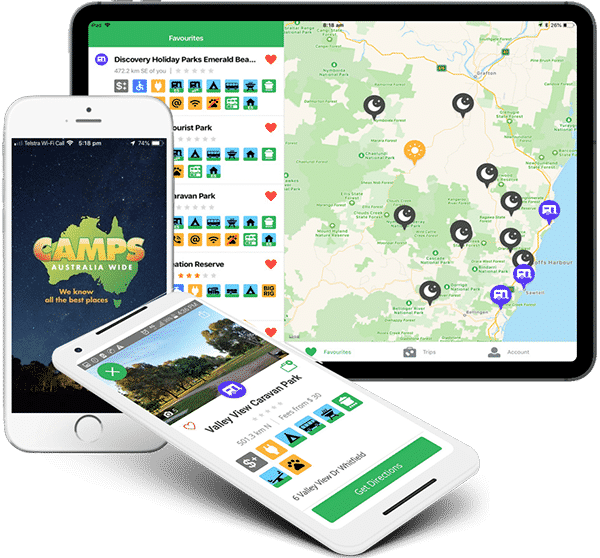 Free and low cost camping, station stays, national parks, state forest parks, rest areas, showground camping, hotel and pub camping, as well as all the tourist caravan parks throughout Australia. 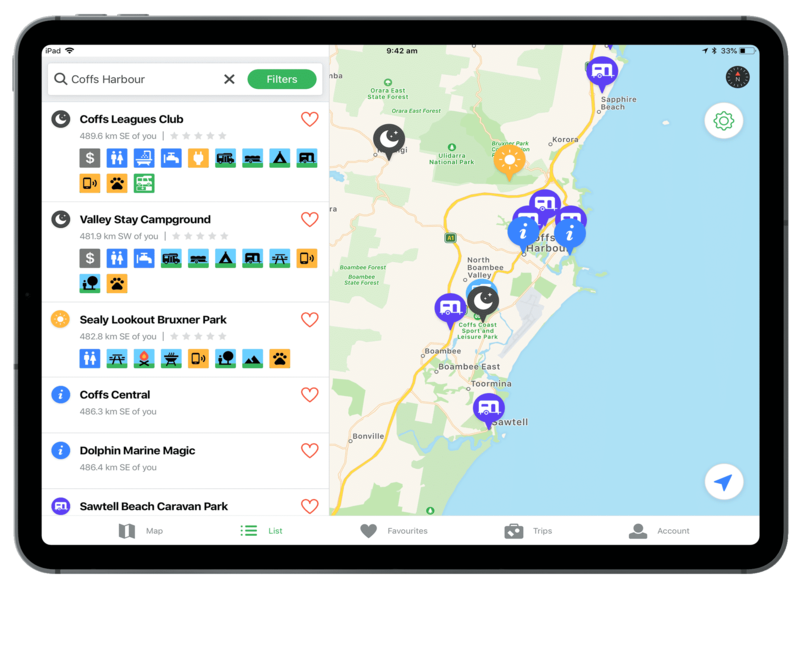 There’s over 950 public dump point locations with addresses & GPS co-ordinates – includes symbols for cassettes, holding tanks, if there is access for big rigs or if a fee is applicable. Our researchers are on the move, checking sites, talking to owners, updating facilities, and images, finding new sites and removing ones that have closed. We also love receiving feedback on your stay as well as pictures you’ve taken. It’s the only verified budget and free camping guide you will need for the whole of Australia. To stay up to date after your purchase there is an “In App” subscription option to enable you to receive new and updated information, as we add more sites. Every listing has a symbol that tells you straight away if your pooch or pet will be welcome. There’s lots of places happy to have your furry friend stay with you (under control of course). We list over 3950 pet friendly sites. 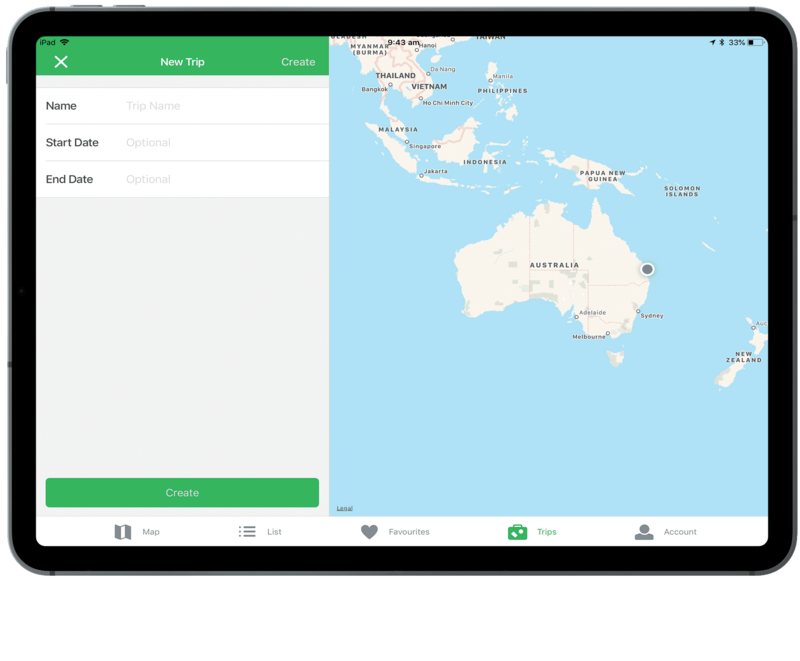 A trip planner allows you to create multiple trips in advance, or track the sites you have visited, and add your own comments to the trip diary. Facilities at each site are depicted by symbols, the standard ones you already know, but now also for motor homes, big rigs, maximum stay allowed, dump points, fees and many more. Touch the icon on the map to open the site information or you can search by town and site name. The easy to understand symbols show what’s at the site such as toilets, showers, disabled facilities, shade, power, pet friendly and a photo if we have one. 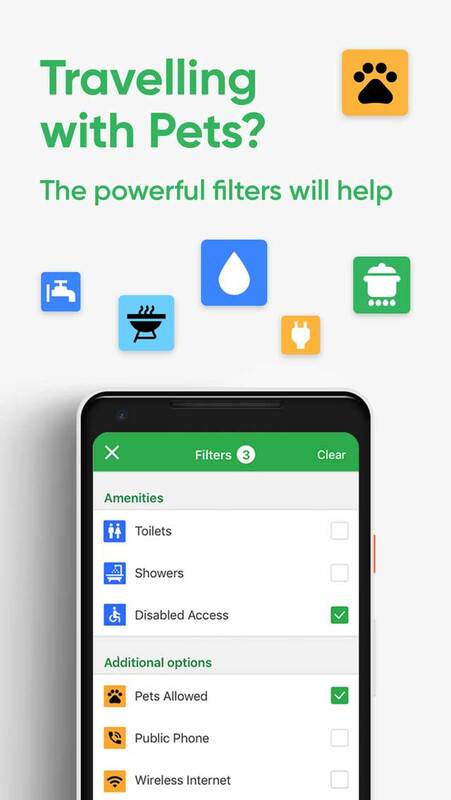 Filter by site type, price range, amenities, vehicle types, facilities, pets, connectivity or Author recommended. 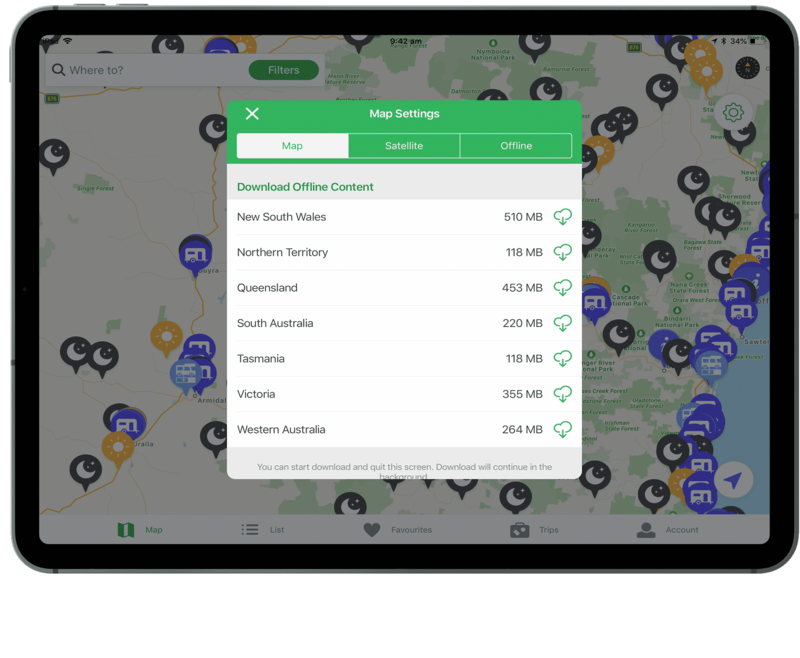 Download offline maps & content to use when there’s no phone signal or WIFI available. “It’s forever sitting on my lap when we travel. We were on the road 4-5 months each year for 19 years. We speak to everybody and it always comes up. You talk to any other traveller, they’ll tell you it’s their bible, too. Thank you for making it so easy to travel. “Just completed two months on the road. Thousands of kilometres. Dozens of wonderful camps. Dump station every day. 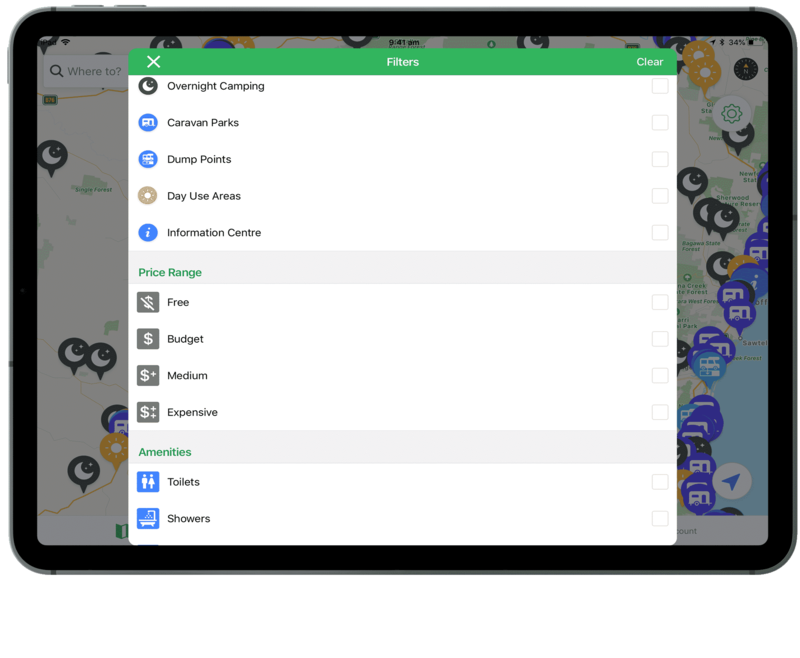 We planned our days around your app. 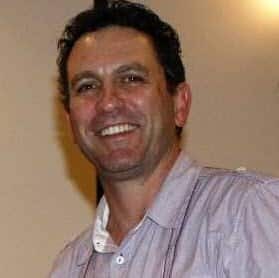 Been travelling Australia for 45 years. It has never been this easy.”. 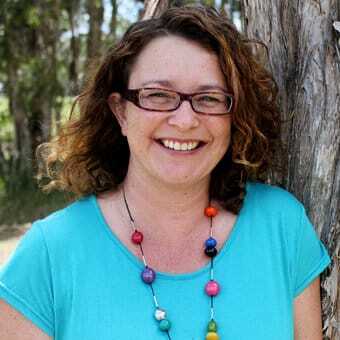 From the Territory to Tasmania, camps researchers are finding, adding and checking campsites. As well as the app, we’ve had nine printed editions over the last 18 years, and have just produced the 10th edition, with more sites, informative symbols and in full colour. The printed editions have over 970 pages and have been revised and updated with over 8500+ sites. 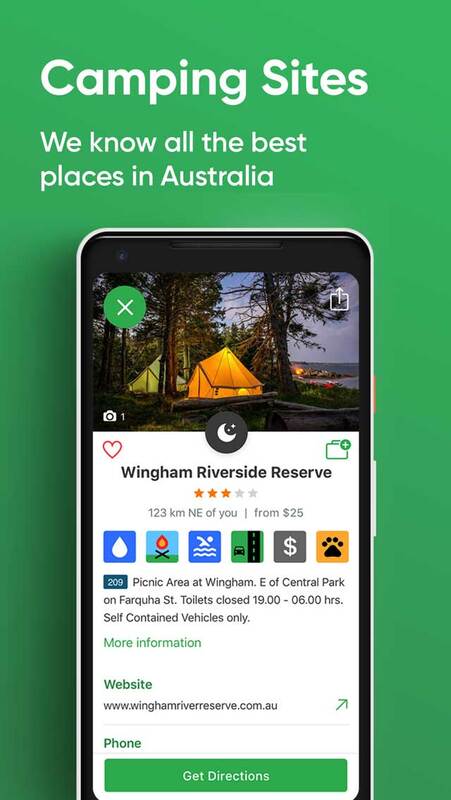 Together with the app they make the only travelling guide to Australia you’ll need. 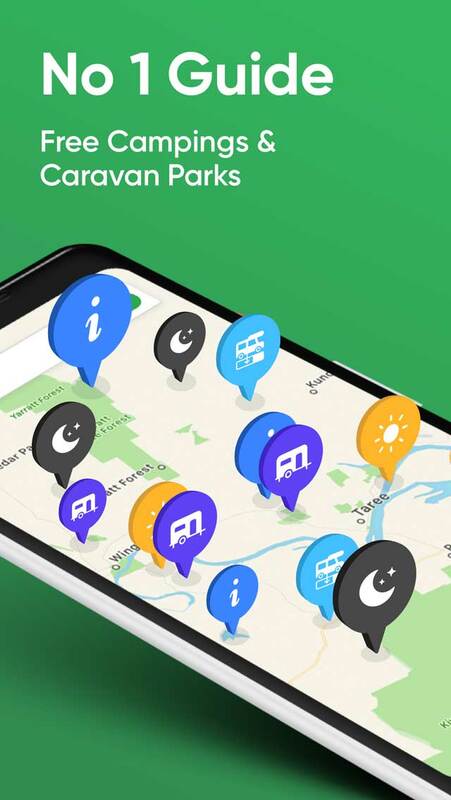 For the newest parks, changes and updates to camps and caravan parks around Australia. © 2019 Designed by Leisa for Web Design Made Simple | All rights reserved.